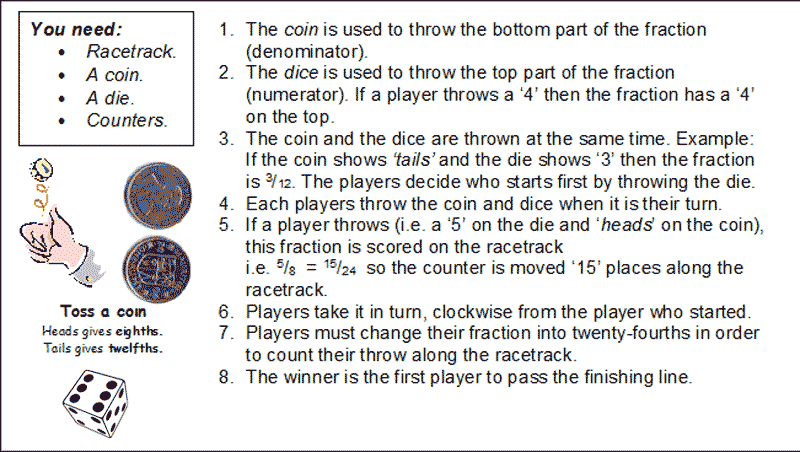 c. Fraction race The racetrack can be straight or oval depending on materials available. Each division on the racetrack is 1/24. The length of the track can be as long as you wish. 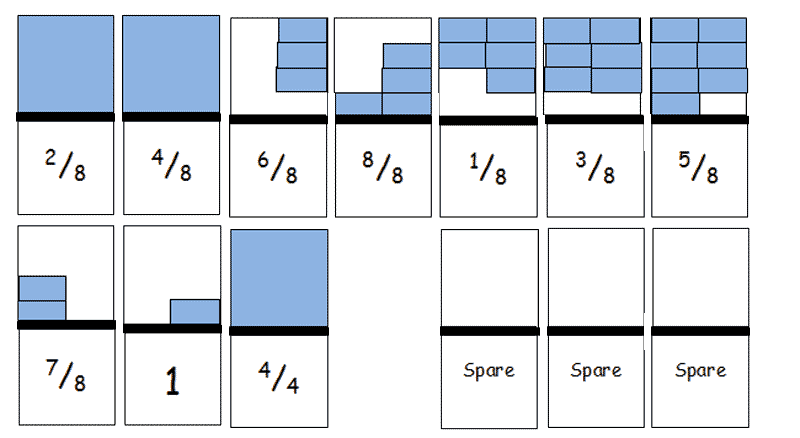 Here is a practical challenge for you to try: Divide 7 chocolate bars between 4 children so that all get an equal share. 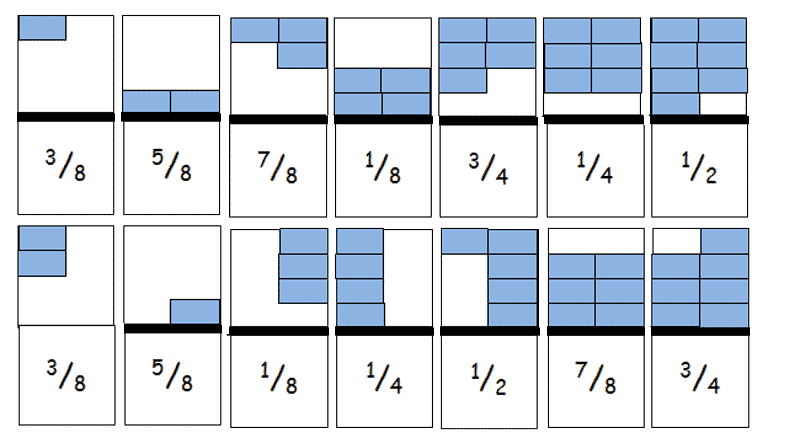 You need: A pack of 24 Family Fraction cards. 1. 4 players are needed. 2. 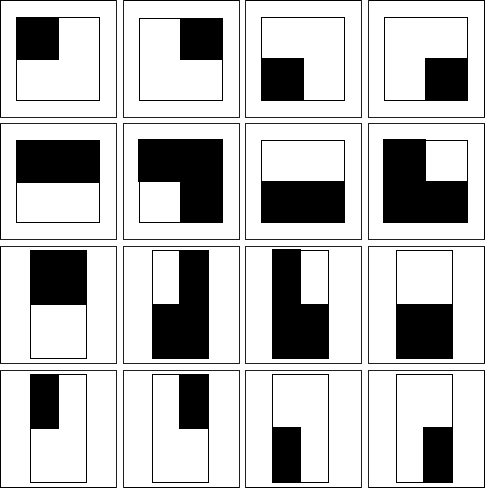 Each player is dealt 6 cards. The rest of the pack is placed face down on the table (‘blind pile’) with the top card turned over to make the ‘discard pile’. 4. Players, in turn, pick up a card from the ‘blind pile’ or from the top of the ‘discard pile’. To complete their turn, they must put down a card on the ‘discard pile’. If they can also complete a family they put this down on the table as well. 5. The first player to get rid of all his or her cards is the winner. Why do we have decimals? •	Are a natural extension of our ‘tens’ number system. 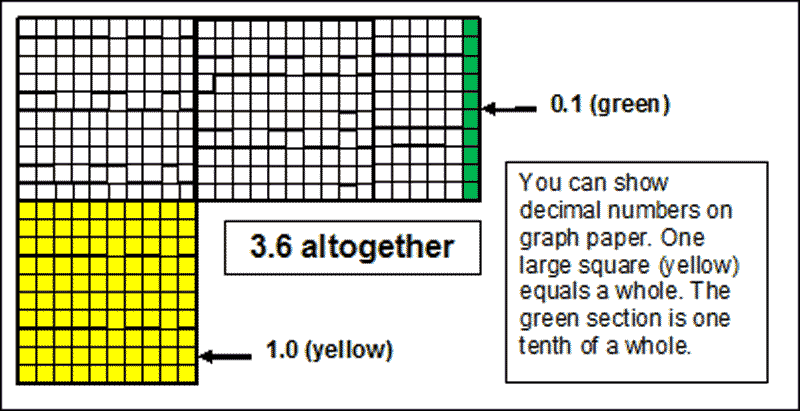 •	Are easier to use for comparisons and for calculations. •	Have a close link with measures such as cm, kg, ml etc.